Samdruptse Hill is 6 km from Namchi and 75 km from Gangtok. 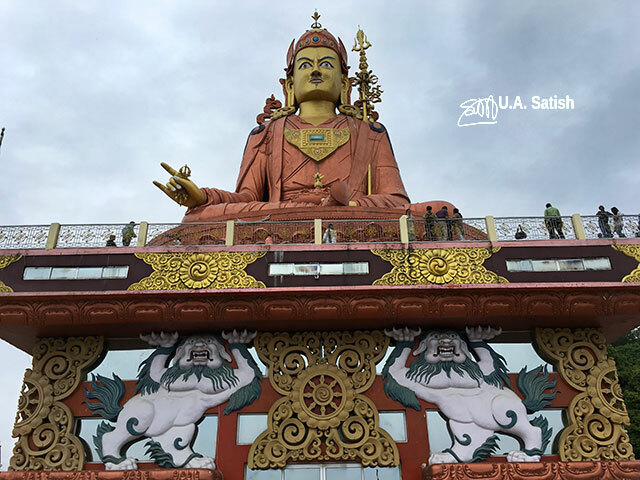 It is surmounted by a giant statue of Guru Padmasambhava who is the patron saint of Sikkim. 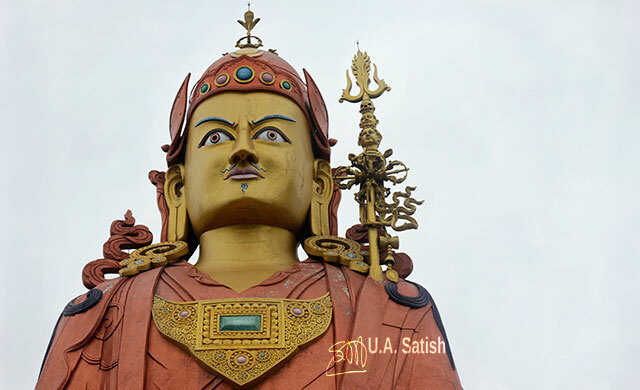 At 148 feet, it is the tallest statue in the world of Guru Padmasambhava. The hill is at a height of 5,500 feet. On a clear day, you can see Mount Kanchenjunga from the hilltop. His Holiness Dalai Lama laid foundation stone of the statue in 1997 and completion of construction was in 2004. Gold and copper paint cover the statue. Underneath the base is a prayer hall. There is a monastery here. Lamas, young and old, were everywhere. The hill has a ropeway which goes down to a small rock garden. After visiting the garden, you can come back to the hill. A few food stalls line the road to the top. The washrooms outside the complex were clean. 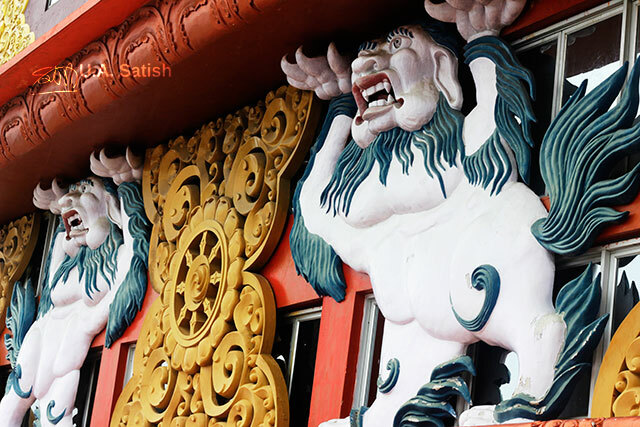 It takes about 3:00 hrs to reach Samdruptse Hill from Gangtok. Make sure that your car is in good condition and the fuel tank is full. We spotted few houses or shops on the route. Much of the travel will be through lonely areas. 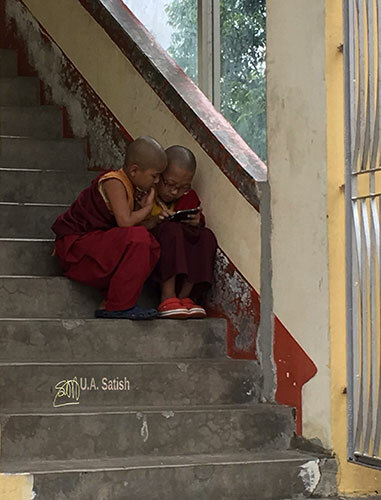 At some places mobile phone connectivity does not exist. Navigation tools may not work. Avoid night travel.